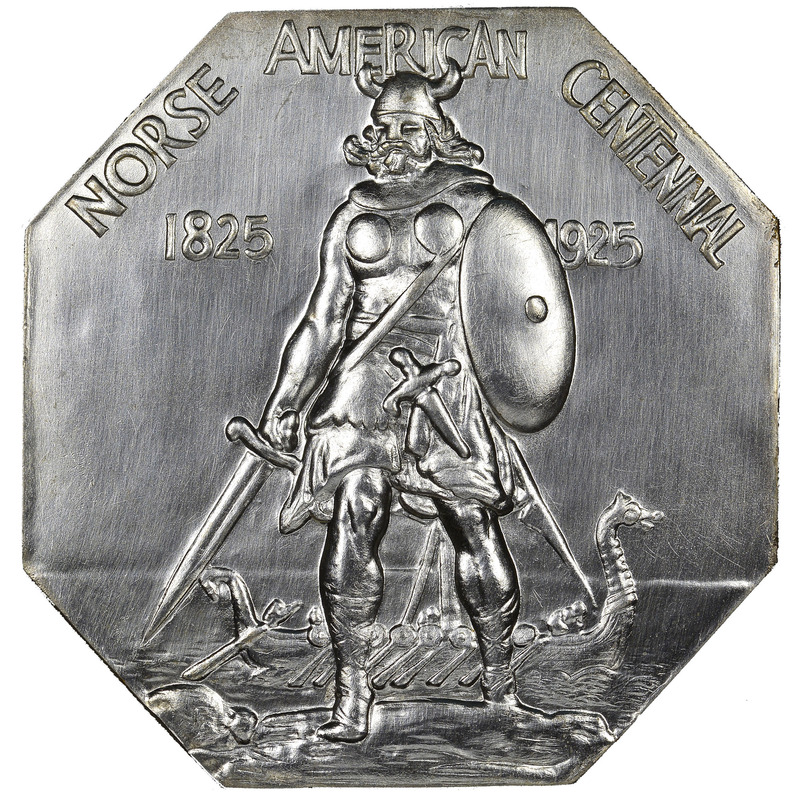 Designed by James Earle Fraser, of Buffalo nickel fame, for the centennial celebration that was held at the Minnesota State Fairground in June 1925. 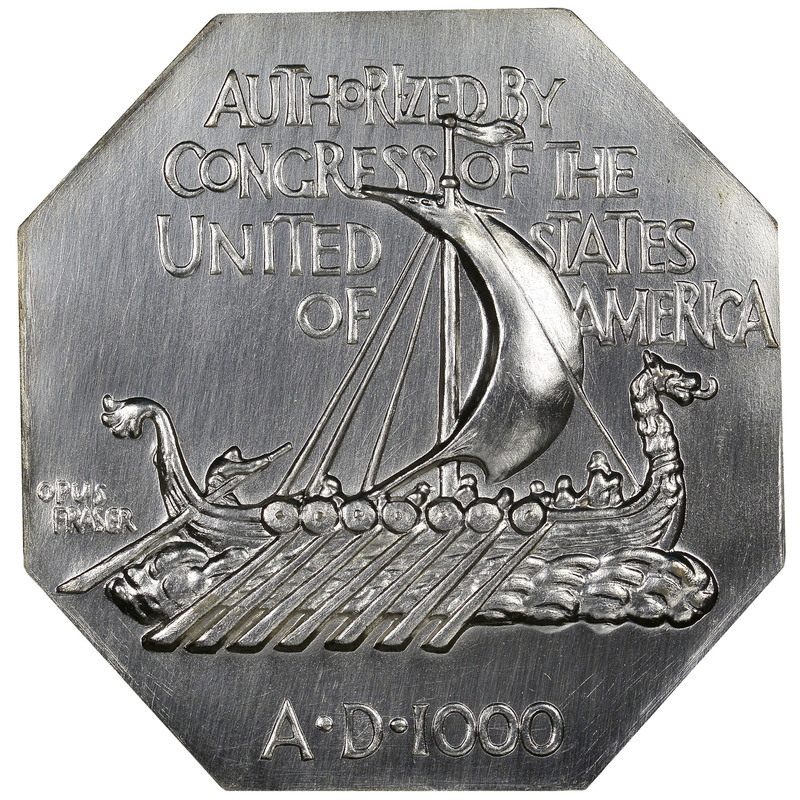 The obverse features a full length Viking warrior, with horned helmet, sword, and shield, landing on the American coast. The reverse exhibits a Viking longship. Most collectors are familiar with the smaller octagonal silver and gold medals of this design, but large format examples are seldom encountered. Apparently just 75 pieces were coined to provide museums with display pieces of this issue, but only 60 were actually distributed. The composition is "triple silvered" bronze. Often a few microscopic specks of the bronze core can be seen at the rims and edges where the plating flaked off. Untoned examples display a slightly reflective sheen, with swirling die polish lines visible on both sides. An single example with matte finish was also graded by NGC. When applicable, this finish variety is automatically described by NGC during the grading process.